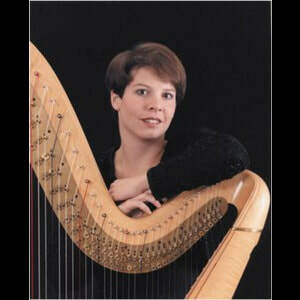 Kathleen is a conservatory-trained professional harpist, holding Bachelor of Music and Master of Music degrees, and has been principal harpist with the Charleston Symphony since 1987. She also holds adjunct teaching positions at both the College of Charleston and Charleston Southern University, while maintaining a private studio. Kathleen has been Charleston’s go-to harpist for many years and has a wealth of experience, sharing knowledge and musical advice for hundreds of clients as they plan a special event. When not at a harp, Kathleen Wilson is an internationally known and highly experienced marathon swimmer with a world class resume of swims. Kathleen also serves as primary instructor for the innovative Swim Camp program, teaching adults fearful of the water how to swim. She is the creator and race director for the annual Swim Around Charleston, a 12 mile open water swim event held in early fall each year. She has several swims registered in the International Marathon Swimming Hall of Fame as firsts. Kathleen was enshrined into the South Carolina Athletic Hall of Fame in May, 2018. Kathleen also served the city of Charleston as a three term city council member for the city of Charleston, representing District 12, and acting as Mayor Pro Tempore in 2008. She is a recipient of the Order of the Palmetto, and is also a Liberty Fellow.